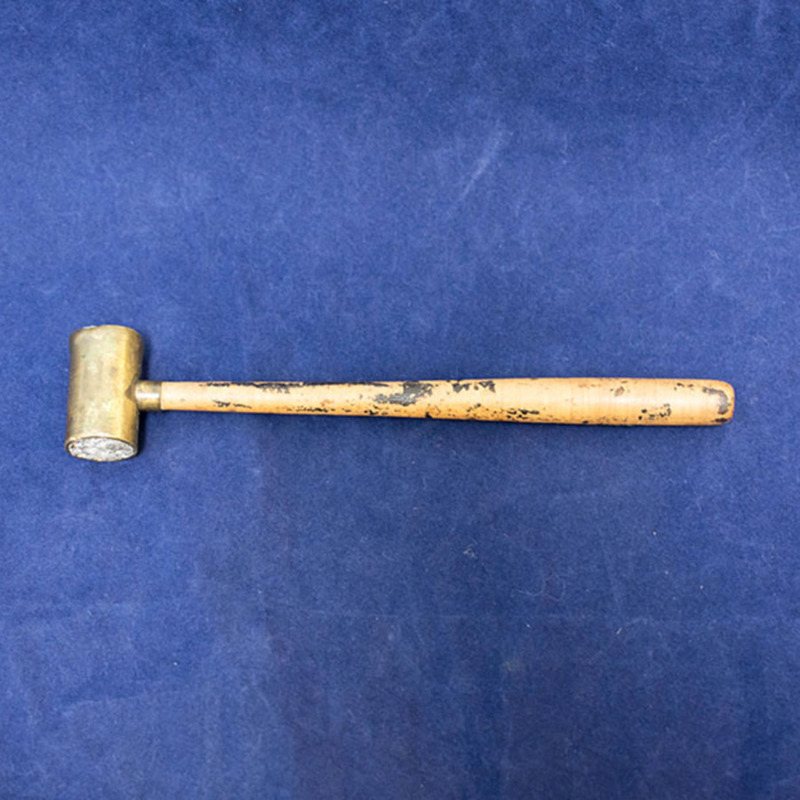 Lead in brass case, nickel plated with wooden handle. 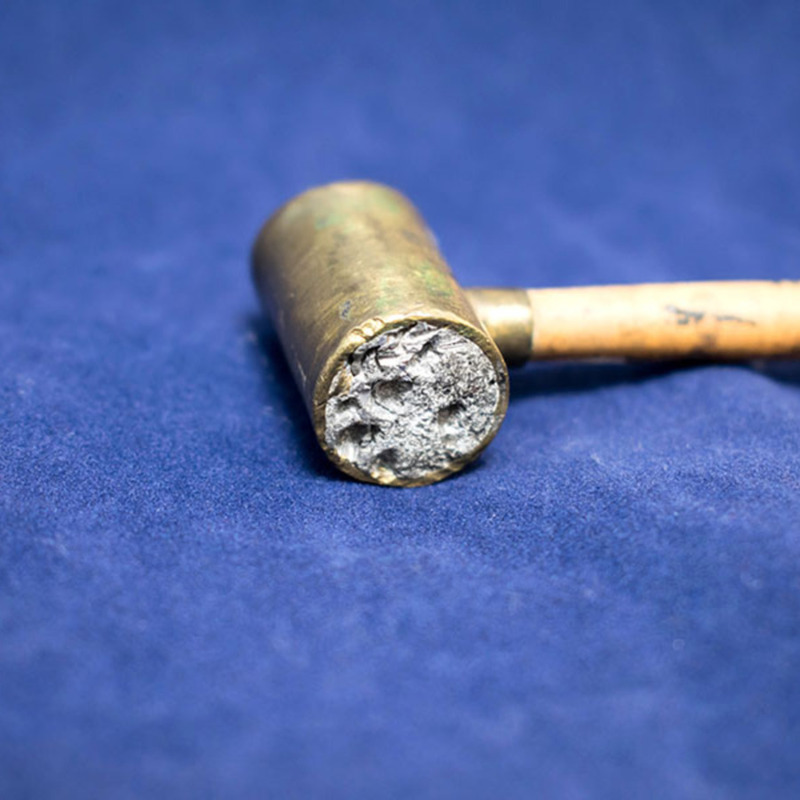 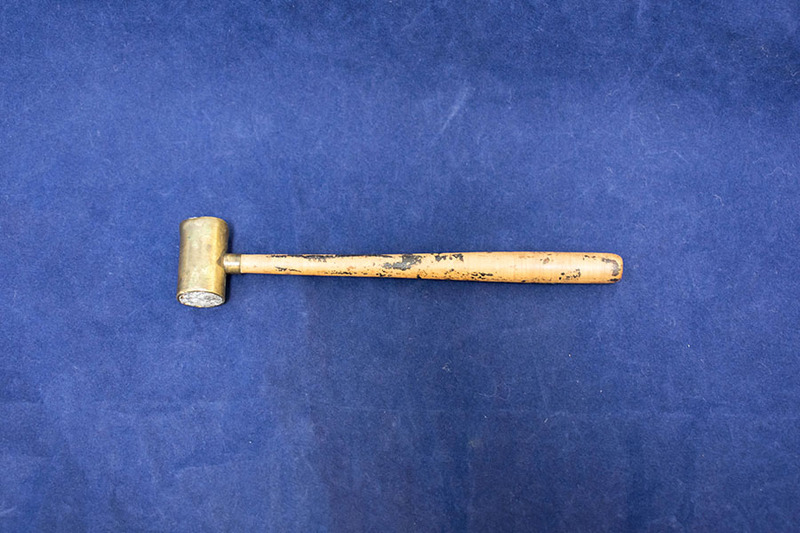 “Gold Plugging Hand Mallet,” Heritage, accessed April 20, 2019, https://heritage.rcpsg.ac.uk/items/show/695. 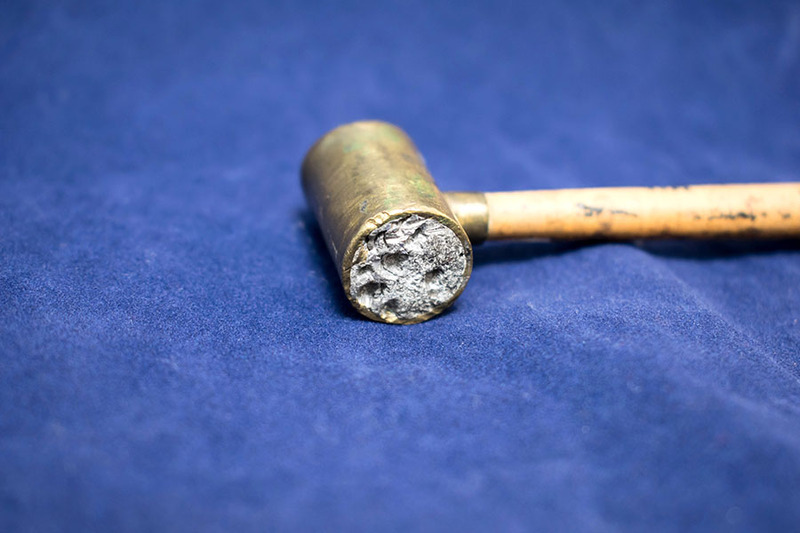 Description: Lead in brass case, nickel plated with wooden handle.